Harry Potter fans can wave their wands with joy as the latest trailer magically appears online. The Crimes of Grindewald will properly introduce Depp as the titular villain with the first proper look at Law as his nemesis - and ex-boyfriend. The spectacular promo is packed with lavish set-pieces and wonderful new creatures. Despire being a NoMaj and totally out of his depth, loveable and bumbling Jacob quickly became a fan favourite. Newt wiping his memories was one of the most heartbreaking moments in any Harry Potter movie, just as Jacob was learning that the world was full of hidden marvels and that he could actually be a hero. 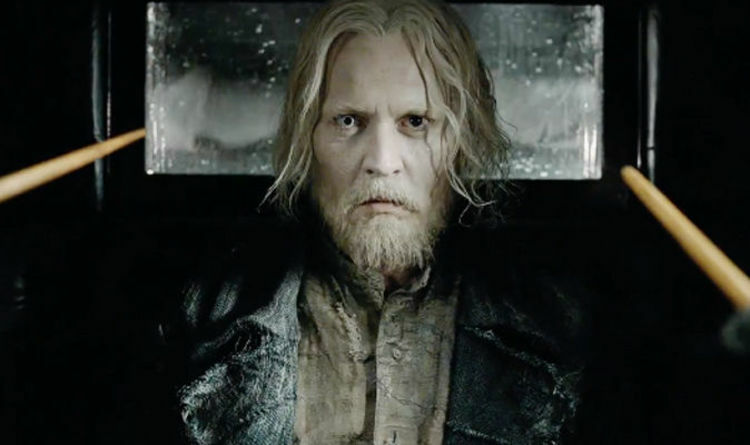 Despite this happy news, the trailer clearly foreshadows dark times ahead and shows that it will be Newt, not Dumbledore who must make the first stand against Grindewald. Dumbledore tells his former student: "The times is coming Newt, when you're gonna have to pick a side. I can't move against Grindewald, it has to be you."